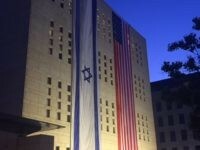 Israel’s interests are are best advanced by working with like-minded countries. And in issues that matter, along a wide spectrum of areas, Poland is a like-minded country, despite painful historical differences. 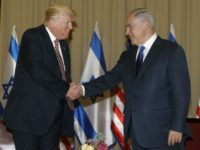 Prime Minister Benjamin Netanyahu welcomed the official U.S. delegation to Jerusalem Sunday evening, on the day before the transfer of the American embassy to Israel’s capital. 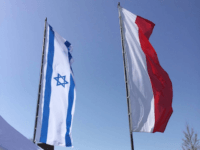 TEL AVIV – A joint Israeli-Polish Holocaust remembrance ceremony in Poland was canceled after the country’s authorities tried to censor the speech of an Israeli mayor that apparently contained references to Polish participation in atrocities committed during the war. 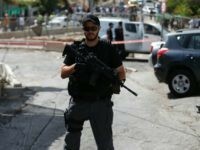 TEL AVIV – The Palestinian terrorist who stabbed an Israeli to death in Jerusalem’s Old City on Sunday had entered Israel legally using a termporary permit that allowed him to look for employment, the Shin Bet security service said. 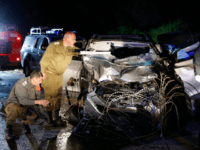 TEL AVIV – Israel will demolish the home of the Palestinian terrorist who on Friday afternoon ran over and killed two IDF soldiers and wounded two others, Prime Minister Benjamin Netanyahu vowed on Saturday night. 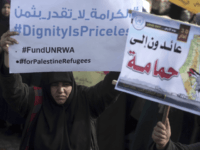 TEL AVIV – Officials from the UN agency for Palestinian refugees will meet in Rome with world powers on Thursday in an urgent attempt to alleviate the crisis it faces after the U.S. withheld hundreds of millions of dollars in funding earlier this year. 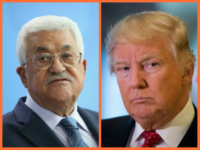 TEL AVIV – President Donald Trump is said to have told Prime Minister Benjamin Netanyahu last week that he would not show zero flexibility in renegotiating the Iran nuclear deal with European nations. 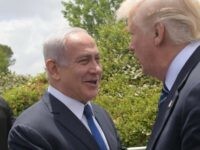 TEL AVIV – Prime Minister Benjamin Netanyahu was greeted with a standing ovation Tuesday morning at pro-Israel lobby AIPAC’s annual convention, where he addressed an audience of 18,000, once again vowing to stop Iran and thanking the U.S. for its steadfast friendship under President Donald Trump. Trump put the proposed tariffs of ten percent on aluminum and 25 percent on steel in the context of NAFTA, working with Mexico and Canada to renegotiate the free trade deal. 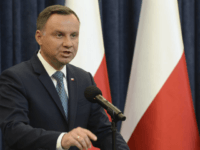 TEL AVIV – An Argentinian newspaper has become the first victim of Poland’s contentious Holocaust legislation, which took effect on Thursday despite pressure from Israel. 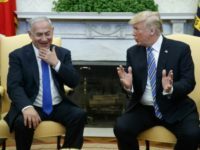 TEL AVIV – Prime Minister Benjamin Netanyahu said President Donald Trump is “worthy of all praise” for his decision to move the U.S. embassy to Jerusalem in May and it was “only a matter of time” before other countries follow suit. 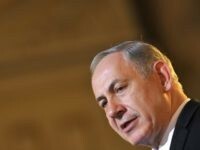 TEL AVIV – Prime Minister Benjamin Netanyahu on Sunday hailed the U.S.’ announcement that it would be moving its embassy to Jerusalem in time for the 70th anniversary of Israel’s independence as a “great moment for the citizens of Israel.” The prime minister is also expected to invite President Donald Trump to inaugurate the embassy in May, Israeli media reported. 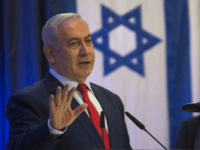 TEL AVIV – Yet another poll published Saturday showed Prime Minister Benjamin Netanyahu’s Likud gaining steam with an additional two seats predicted for the party if elections were held today, up two from last week’s results from the same pollsters. 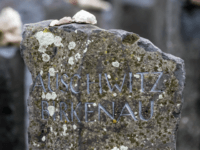 TEL AVIV – An official delegation from Poland will arrive in Israel in the coming days to reach an understanding on the controversial bill which criminalizes blaming the eastern European country for any Holocaust-related crimes, a Foreign Ministry spokesman said Saturday. 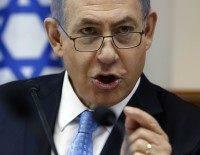 TEL AVIV – Despite the developments over the past two days regarding the Bezeq corruption case, Prime Minister Benjamin Netanyahu’s Likud party would remain in power and even gain an additional four seats if elections were held today, a new poll released this week shows. 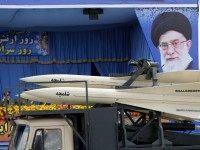 TEL AVIV – The nuclear deal gives Iran “a highway to a nuclear arsenal” and has only served to bolster the Islamic Republic’s aggression across the region, Prime Minister Benjamin Netanyahu said Wednesday to U.S. Jewish leaders in Israel. 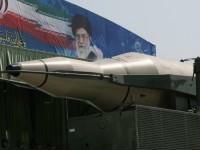 TEL AVIV – There are 10 Iranian military bases in Syria, two of which are close to the border with Israel, that are training militias from the Assad regime for a future war with Israel, an analyst for an American think tank said in an article published Monday. 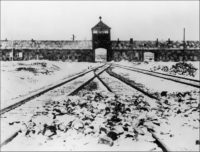 TEL AVIV – Prime Minister Benjamin Netanyahu on Saturday slammed Polish counterpart Mateusz Morawiecki’s “outrageous” remark that Jews helped perpetrate the Holocaust, saying that the comment highlighted the Polish prime minister’s insensitivity. 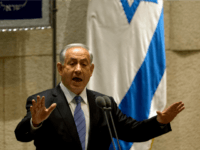 TEL AVIV – In an ironic twist, Prime Minister Benjamin Netanyahu’s popularity is actually on the rise since the police recommended he be indicted Tuesday, with polls showing that his Likud party would gain an additional seat if elections were to be held now. 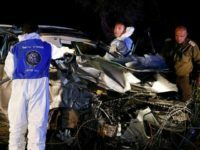 TEL AVIV – The police recommendations that Prime Minister Benjamin Netanyahu should be indicted on charges of corruption are not backed up by enough evidence, sources in the state prosecution reportedly said according to a shocking TV report broadcast Wednesday. 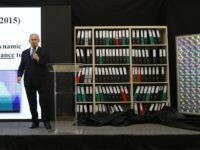 TEL AVIV – Senior members of Prime Minister Benjamin Netanyahu’s coalition said they would not rush to make any decisions until after the attorney general made his ruling in the wake of police recommendations published Tuesday that the premier be indicted on corruption, bribery and fraud charges. 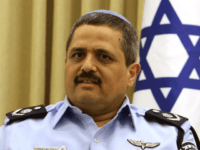 TEL AVIV – Members of Knesset in the ruling Likud party described police recommendations that Prime Minister Benjamin Netanyahu be indicted for a series of corruption charges a “coup” designed by the prime minister’s opponents, while leaders of the opposition are calling for Netanyahu’s immediate resignation in the wake of Tuesday’s police statement. 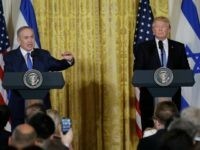 TEL AVIV – The Trump administration on Monday issued a flat denial of Prime Minister Benjamin Netanyahu’s claim that the U.S. and Israel were in discussions regarding the annexation of West Bank settlements, prompting the Israeli leader to walk back his remarks.